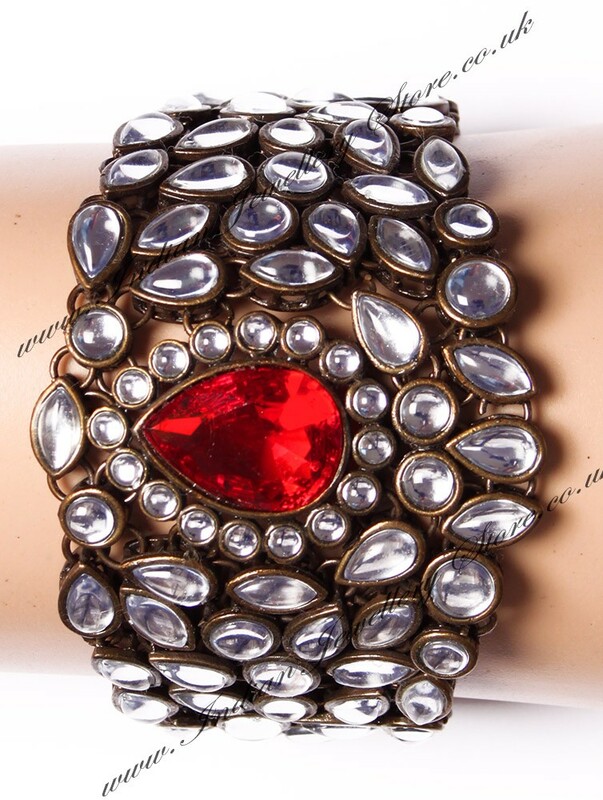 Indian bracelet in antique bronze and bright red. Set with kundan chip stones. Bracelet width in (aprox max): 6.5cm. This set has stunning, rich looking coloured faux gems. We can fit this bracelet to your size so please provide your actual wrist measurement in cm (not your bangle size) along with your paid order number. Scale shown in image is in cm.